Innocence is a commodity that has largely fallen by the wayside in the modern world. As such, it is impossible for me to even write a trip report about the playground of the three priests without feeling an involuntary shiver. But I digress. La Récré des 3 Curés began life as a children's playground and for the most part it remains faithful to those roots. A medium sized roller coaster was added in 2001, but that remains one of a handful of amusement rides in the place. Grand Huit (#1201) is a lively trip through a wooded area with ridiculously small clearances between ride and branches. It is the overgrown foliage that is the highlight of this ride, as its proximity to the track serves to amplify a sense of speed that would otherwise be largely absent. It would be hard to justify a trip to this area specifically for the coaster, but any enthusiasts passing by should certainly make the effort to stop. Cobac Parc might be difficult to find for the average tourist. Clearly conscious of this difficulty, management have elected to cater to the nerd population by publishing their latitude and longitude on their web site. Even I'm not able to drive directly to 46°26'12" North, 1°50'2" West, but the trusty satnav unit could do so easily. Having said that, this proved both a blessing and a curse, as the route it chose to take was possibly best described as creative. Fortunately we located a signpost right before the aforementioned electronics went through the window. Recalculating. When possible make a U-turn. Recalculating. Turn left on road, then turn right. Recalculating. Recalcu... SHUT UP! Corsaire (#1202) is the only new coaster to have been built by Soquet in the last three years, making me wonder how they can be staying in business. I've ridden almost two thirds of their operating coasters and have yet to find one that didn't track smoothly with an appropriate level of forces for the size of the ride. This one was fairly typical of their designs, it being a fairly average custom family coaster memorable chiefly for its elaborate theming on the front car. The third and final park of the day was sufficiently remote to make Alton Towers look like it was built in the middle of an urban centre. 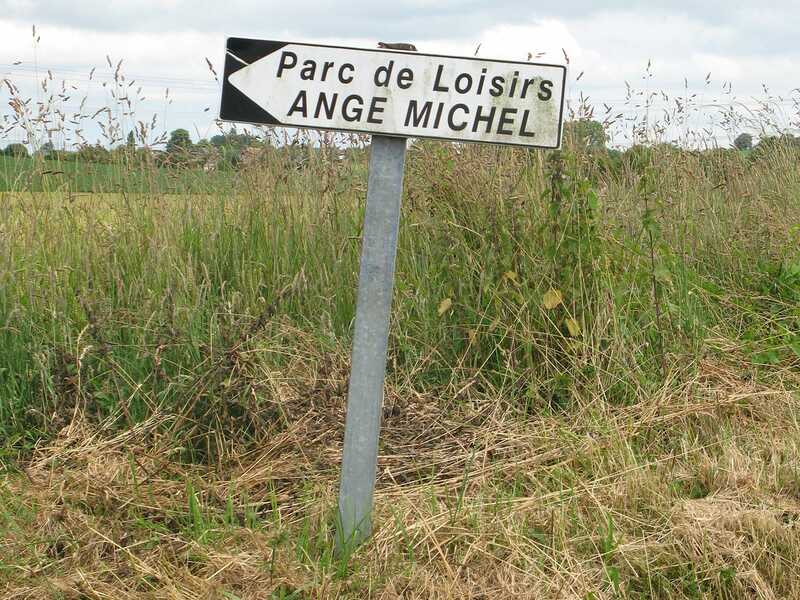 There are only two roads that lead to Parc d'Attractions Ange Michel, and both of them are too narrow to allow oncoming vehicles to pass each other without slowing down to a few kilometers per hour. Forget about trying to visit this park without satnav; it would simply not be possible to find even if you did happen to accidentally spot the single three foot high signpost. Even the slightest wrong turning could have you lost for weeks. Tacot en Folie (#1203) is a relocated coaster, having operated originally at Fraispertuis City. It was removed from there at the end of 2004, allowing the park to use the reclaimed space to add an extension to their other coaster. Much as I would like to say otherwise, it can best be described as mediocre. It opens with what must be one of the slowest chain lifts in the known universe, and when it finally reaches the top it gently coasts around a boring set of helices taken at no more than a fast walking pace. As it is, this ride is ideally suited for eight year olds; anyone older than that is likely to be bored.